The Crochet Crowd has and always will be an evolving community. While building ‘The Crowd’, I have taught myself, sometimes through the help of mentors, to create a community that has limitless possibilities. As ‘The Crowd’ grows, so do I on a personal level. I am currently building a new platform from scratch that will house all of the content of The Crochet Crowd in the future. 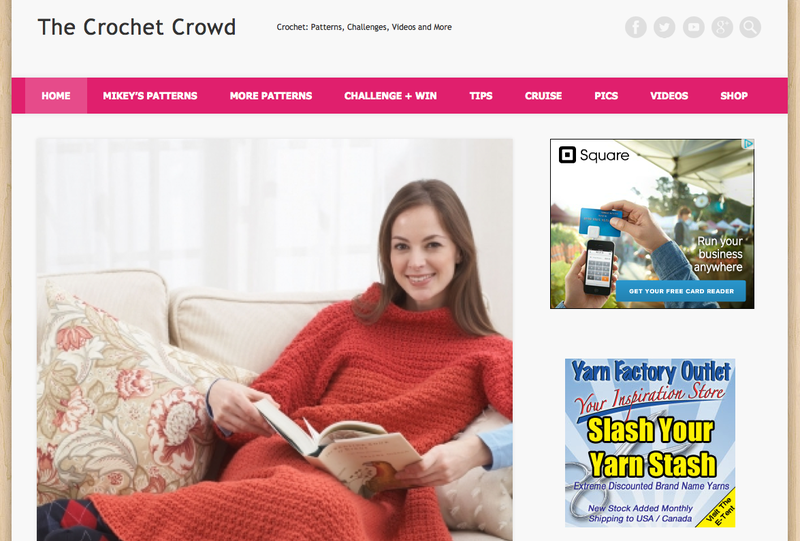 The current website, The Crochet Crowd, will NOT be retired. For reasons I won’t get into, I am unable to take the website down without it having a catastrophic effect on our community. Links to and from The Crochet Crowd Website will remain unaffected. The construction began last weekend and it will start hitting the search engines. In fact, I know it’s already hitting the search engines. We are not allowing subscribers to the new website at this time. Our completely revolutionary design is fresh, new technology and less complicated to program and for crocheters to use. We are moving to a more sleek design with written words being secondary when browsing through the patterns and much more. If you would like to take a sneak peek, you are welcome to visit our brand new website, The Crochet Crowd. I am predicting that this new website will be fully operational by late spring 2014. I have a lot of work to do. You will see some categories not have any content, it’s coming. The New Website has capabilities that currently don’t exist in our original website. You can save my own patterns as downloadable PDF’s on your devices. The search engine is superior. You will find a grey magnifying glass at the top right, click it to open up the box. If you are looking for content, you are safe to look at the original website until I speak up to say the transformation is complete. Daniel and I discussed this topic this morning. In light of the search engines picking up our new website, we figured we better speak up before people think our website has been hacked or duplicated by a third party. This entry was posted in Announcements and tagged 2014, Announcement, Blog, Mikey, New Website, The Crochet Crowd, Website. Bookmark the permalink. Hi Mikey , Daniel, and Cathy, I just had a peek at is wonderful. I especially as an 80 year old enjoy not having to remember where all of the wonderful things you have going on. Now I just go to one page and everything I need is there. Mikey, you have taken me further than I dreamed of when I started crocheting. I knew all of the basic stitches, made afghans but that was it. I like to have smaller things to crochet like baby things, toys etc and now I can do them. I wouldn’t have attempted them before. After doing all of your Curtzy lessons and all of the rest of your videos I was confident enough to try a baby dresses which I am working on now. You have no idea how you have changed the quality of my life. I am a shut in and can’t get out. You have brought the crochet world to me. I can order from Red heart and know they are trustworthy cause you said so. I think the new site is very user friendly and I love the layout. Mike and Dan it is going to be awesome. I love the new site. Everything in ONE place. It looks like a magazine I can look at for hours. Good luck and I hope it all goes smooth. That is a big undertaking. I just gazed at your new website. You are amazingly gifted. It looks great. I’m so happy to be a part of your family..
Just took a peek at your new website it looks great. Like it, no love it. Everything moves on better, quicker, more user friendly, visually appealing, and on and on. You are now just getting up to date. I’m sure all will love this in time. Mikey is bang on and I am totally addicted. The less time it takes me to research the more time to create, so God Bless you. Love the idea of new & improved AND easier navigation! Looks great on my phone; will have to check it out on my computer next! Thanks for continuing to evolve! This change will be different and improve for downloads. Looking forward to the completed project. Very nice Mikey! I love it already. I consider myself to be pretty tech savvy but I have to admit that the old website, great as it is, was a bit cumbersome to navigate. Your new one looks very streamlined and is keeping up with current trends. So nice!